Mark Atkins may have an alter ego problem. You may know him as Mark or you may know him as Rusty Butcher. Mark is well known for his crazy motorcycle riding antics on a Sportster, jumping things that shouldn't be jumped and riding where others wouldn’t even go on a dirt bike, nonetheless a 500lb Harley®. In the past few years, Rusty Butcher has become a household name in the industry and a staple when it comes to Tracker style bike builds. From humble beginnings, Mark has created a media empire that includes Hooligan racer, stunt rider, and so much more. The Rusty Butcher crew have done more with Harley-Davidson® Sportster® motorcycles then most people could ever have imagined and we're excited to have helped him out along the way. 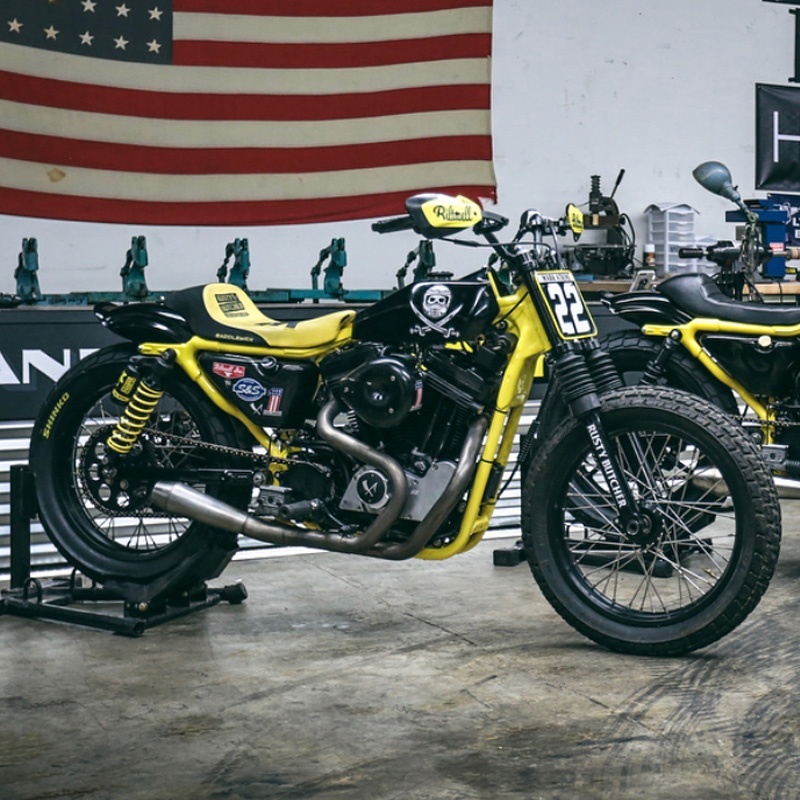 Today's Build Spotlight is on their most recent Sporty creations constructed to contest the 2018 Hooligan season. Building a Hooligan race bike is not as complex as you would think. Let’s break down good ol’ number 22.